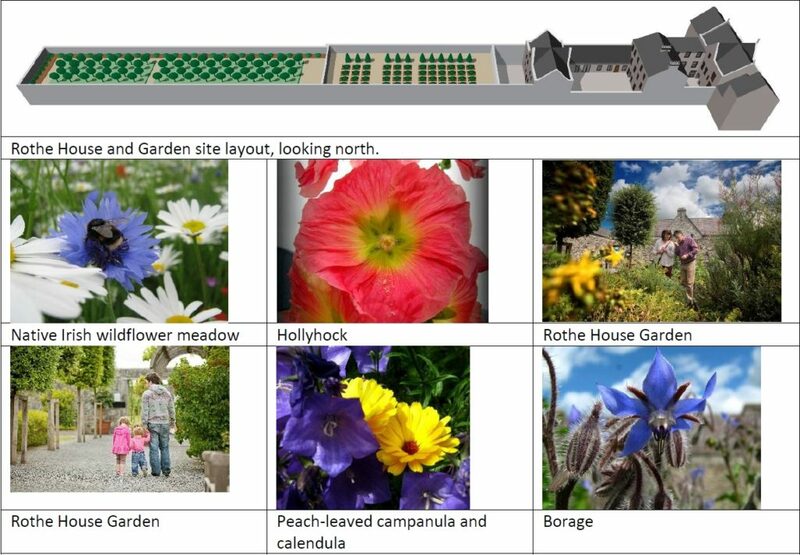 Saturday May 28th : Presentation at Bee friendly Rothe House garden 1pm-3pm. There will also be the identification of bee/pollinator friendly plants. All are welcome. Entry to the Gardens is free to all on the day. Arranged by KKB and Rothe House gardens. We also welcome Tanguy de Toulgoët a bee keeper to explain the art of bee keeping. He uses a French system using a vertical divisible hive. The small boxes suits very well the size of the bee cluster especially during the winter. It is a great hive to keep bees naturally. They organise their nest in their own way and the surplus honey is harvested (if any) around August. The honey is stored in the higher boxes. The honey will be pressed or can be eaten in the comb. A full box is always left for the bees for the winter. This entry was posted in Biodiversity, Education, Kilkenny City, News, Sustainability and tagged bees, Flowers, Garden, pollinator, Rothe House, saturday by KKB. Bookmark the permalink.